Megadeth's Dave Mustaine was recently interviewed by Rock 100.5 The KATT, you can read some excerpts below. 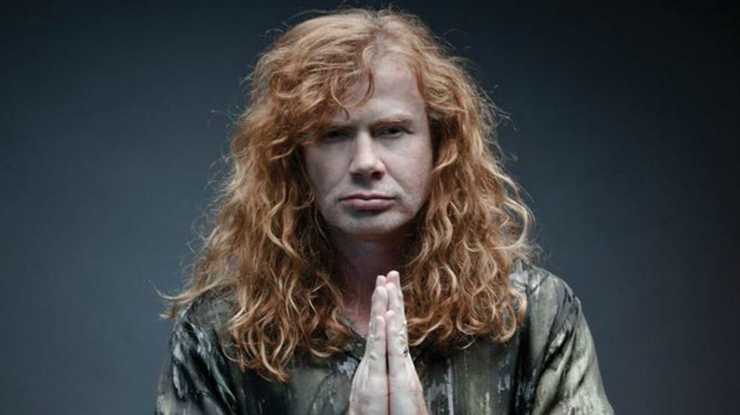 About the upcoming U.S. presidential election, Mustaine said: "If you wanna know how things are gonna look, it's gonna be real simple to boil it down. If you wanna know what being with Bernie Sanders as president would look like, look at Venezuela. If you wanna know what being with Hillary Clinton [as president] would look like, it'll be more of the same. If you don't want either one of those things, the other choice is gonna be Donald Trump. Now, I think that because of the fact that Hillary may be going… [she] may be unable to run for office because of her criminal proceedings that look like they're gonna take place, it looks like the Democratic party is getting some people ready, like, in the back. You hear rumblings [of] Jennifer Warren [sic] and Joe Biden still kind of hovering around and stuff like that. And the same thing is, like, why did Mitt Romney all of a sudden start talking up again. I mean, he's more outgoing right now against Donald Trump than he was against Barack Obama." He added: "I believe we're right on the cusp where something super fantastic is gonna happen in our nation right now. I think that this election is gonna have explosive repercussions one way or the other, and if it doesn't go the right way, America is gonna be in a lot of trouble. But everybody needs to remember this number: it's article 25."